A limited liability corporation, or LLC, is a form of business enterprise that can be very suitable to the needs of a person looking to start a small business. An LLC combines the limited liability protections of a corporation with the protections against double taxation of a partnership. 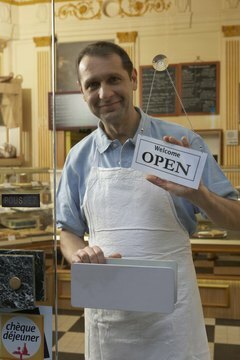 The filing requirements for an LLC are also simpler, making it an ideal way to organize a small business. Forming an LLC in Virginia requires submitting a document, called an Articles of Organization, with the State Corporation Commission. Decide on a name for your company. Virginia law imposes strict requirements on the naming of an LLC. Under Virginia law, an LLC must contain either the phrase “limited company” or “limited liability company” or the abbreviation “L.C.,” “L.L.C.,” “LC” or “LLC”. The name of a Virginia LLC cannot contain the words “Corporation,” “Incorporated” or “Limited Partnership” or the abbreviations “Corp.,” “Inc.,” “L.P.” or “LP.” The name of your Virginia company must be distinguishable from the name of a business registered or reserved with the State Corporation Commission. To assist you in coming up with a unique name for your Virginia business, the State Corporation Commission maintains an online database of all business names registered and reserved in Virginia. Decide on a registered agent and registered office. Under Virginia law, all LLCs must designate a registered agent. A registered agent is the person or business that will receive service of process if your company is ever sued or subpoenaed. A registered office is the street address of a registered agent, which Virginia law requires to stay open during business hours to receive service of process. If you are a Virginia resident, you may serve as your company’s registered agent. If you are not a Virginia resident, or do not wish to have your name and home address listed with your company in a public filing, you may hire a registered agent service, which is a business that will receive service of process for your company. Download the Articles of Organization form. The State Corporation Commission will only accept an LLC application if it is submitted on its Articles of Organization form. Fill out the Articles of Organization form. Provide the name of your company and the name of your registered agent. Indicate whether your registered agent is an individual or a business. If your registered agent is an individual, check the box that describes that individual’s relationship to your company. Indicate the registered office of your company. Provide the address of the principal office of your company. Sign and date the Articles of Organization as an organizer. File with the State Corporation Commission. The State Corporation Commission accepts the filing of an Articles of Organization by mail. The mailing address is Clerk of the State Corporation Commission, P.O. Box 1197, Richmond, VA 23218-1197. As of 2010, the filing fee is $100, which must be paid by check made payable to State Corporation Commission. Jackson, Salvatore. "How to Start an LLC in Virginia." , https://legalbeagle.com/start-llc-virginia-3354.html. Accessed 19 April 2019.